Amazon Prime is synonymous with free (two-day) shipping for those who pay for the annual membership. But with a new service called Prime Pantry, Amazon is betting that Prime customers will agree to pony up and pay for shipping for items such as 12-can packs of Coke or a six-roll paper towel pack. The service gives Prime customers the ability to order as much canned foods, cereal, snacks, beverages and everyday household items as can fit in a four-cubic-foot box that holds up to 45 pounds. No matter how packed or empty the box is, it costs $5.99 to deliver it. As customers add Pantry items to their online shopping cart, they are told what percentage of the box is full. 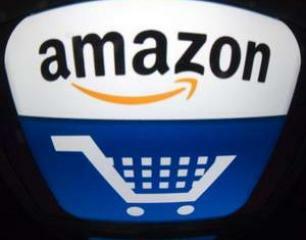 For Amazon, the program gives them a way to try to drive demand for some products that would have been cost-prohibitive to ship for free. But on first blush, Amazon doesn’t make it very clear what’s in it for Prime customers that are paying the $79 a year membership fee (soon to be $99), in large part for the free shipping feature of the membership. Is it that most of these items were never available for free shipping in the first place? And so if you pack a bunch of them together in a box, the $6 shipping charge will be cheaper than if you would have ordered them separately? Or is that some, most or all of the available products were never sold on Amazon at all? The Prime Pantry page makes it seem like a little of both; it references both a “wider range of products” and highlights some “new selections” including single boxes of Cheerios, 12-packs of Coke and a 100-ounce container of Tide laundry detergent. But it’s still not totally clear how much of the Pantry collection is new stuff you couldn’t previously get through Amazon. The last point is a subtle dig at the Costcos and Sam’s Clubs of the world that provide good prices in exchange for customers being willing to buy larger size packs of an item than perhaps they otherwise would have. The problem is that Amazon doesn’t spell out just how much of a deal these Pantry items are. Maybe it won’t matter. Maybe Prime customers so love Amazon that they will see value in getting a shipment of Doritos, deodorant, toilet paper and cereal delivered to their door in one tidy box. Or maybe the digital coupons displayed next to many of the items will give the impression that Pantry items are cheaper on Amazon than they are anywhere else. Still, Amazon would do well to better market why Prime customers would get into the habit of paying $6 shipping charges when they have been trained to almost always expect free shipping. But if Pantry finds some success, it has the potential to build up the frequency of orders from Prime members. And that has the potential to make the economics of the AmazonFresh grocery delivery service, which includes perishable foods and drinks, look a lot better as it rolls out to more cities in the future.